While most toads are highly beneficial because they eat insects and slugs, sometimes they can become a nuisance--as in the case of cane toads, also known as giant or marine toads. Cane toads are twice as large as more commonly seen yard toads and secrete a toxin that can be fatal if ingested by small pets. Toad burrows are easy to eliminate if you are successful at the daunting task of removing the toads themselves. Most common toads rid the yard and garden of pests. Make your lawn less appealing to toads. Block access to or remove ready water sources like pools, ponds or puddles that toads use for breeding. Remove pet food dishes that may attract toads. While they eat bugs, toads won't turn down a kibble snack. Turn off the porch light at night. Lights attract bugs, and bugs attract toads. 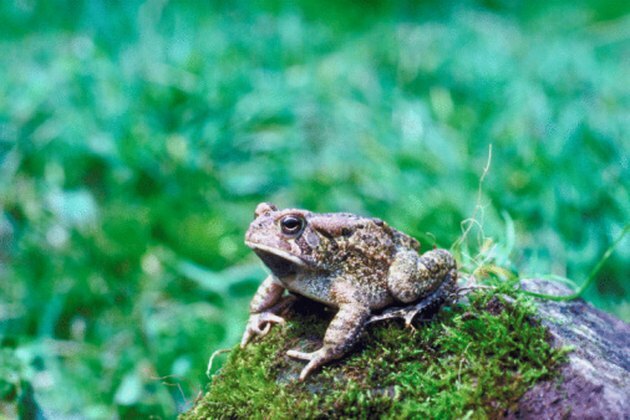 Spray insecticides to eliminate the toad's food source. Put up a fence around the perimeter of your yard. Bury the fence no less than a foot underground and at least 2 feet tall. Bend out a lip along the bottom before you bury it for added effectiveness. Euthanize the toads you find by squirting a strip of benzocaine cream, such as for tooth pain, along the toad's spine. Death may take up to 40 minutes. Place the toad in a freezer bag and freeze it for three days to ensure it is dead before disposing of it in the trash or burying it.